Twitter, Facebook, Google+: Which Business Page Is Best? Is Google+ or Facebook Better for Business? 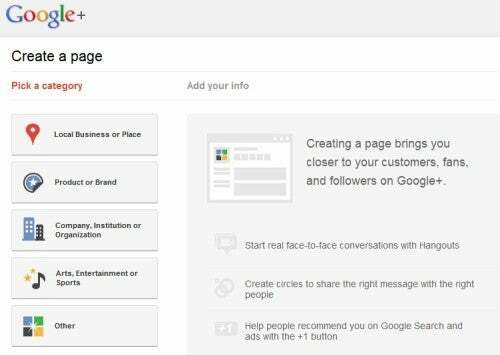 Google revealed its Google+ Pages for business this week. While they are a must for any business playing in the online space, however, they still leave a lot to be desired when stacked up against arch-nemesis Facebook Pages. We are only seeing the first stages of Google+ and the network may develop over time into something more useful for business, but for now the service doesn't even come close to the services that Facebook offers business. The first and most obvious hurdle that businesses hoping to take advantage of Google+ Pages face is the number of active Google+ users. The last best estimate for number of Google+ users was around 43 million users at the end of September, while Facebook sports 800 million, half of whom log on daily. While people in the tech space are embracing Google+ as a minimalist alternative to Facebook, the rest of the world that your target consumers likely reside in couldn't be bothered to join two different social networks and actively monitor both. Google+ Pages were launched without many of the advantages that Google could inherently bring to the table. The capability to sell products or even listen to audio files is currently lacking on Google+ Pages, and while these may be in the works, Google+ Pages really should have included these on day one. That being said, tighter integration of Google Apps for Business, Google Apps for Nonprofits, Google Voice, and other Google properties is very likely in the works. It is a shame that they weren't included on launch for more of a "wow factor". This is a distinct problem with Google+ Pages before it even has a chance to get off the ground. One of the benefits of having a presence on Facebook is that you can grow your audience by enticing them with promotions and contests directly on Facebook itself. Google+ has elected to not allow promotions or contests. Google+ specifically states in its contest and promotion policy, "You may not run contests, sweepstakes, offers, coupons or other such promotions (“Promotion”) directly on your Google+ Page." There's no wiggle room there. You just can't do it. Contests and promotions are a fact of life for most businesses on Facebook that are trying to establish a brand presence, so the Google+ stance just doesn't make sense. If you look at the composition of a Google+ page, you'll see that you have four tabs to talk to your customers. While automatic posting tools such as HootSuite will likely be upgrading their service to include Google+ Pages, you'll still need to curate content like photos and videos separately on Google+. That's not to mention that you'll have to log in to Google+ to post your content until the automatic posting tools catch up--a time-consuming as a daily activity. Videos are featured more prominently on Google+ Pages, so having a video is almost a must for a good Google+ business presence. While it isn't a bad idea to consider a video for other purposes, such as a YouTube presence, small business owners will likely have to borrow budgeted dollars from other items to get one made. The early days of Twitter are analogous to the early days of Google+. Back when it was launched, everyone in the tech space was exploring Twitter and could see its potential. It wasn't until mainstream users came online that Twitter became a must-use service. So it is with Google+ Pages. It's important to have a presence on it for the backlink to Google and its importance in making your business more available on Google, but until the user base ramps up to include everyday users, it just won't be worth paying as much attention to as Facebook.